Wiki Builders, Feel My Pain (a.k.a. 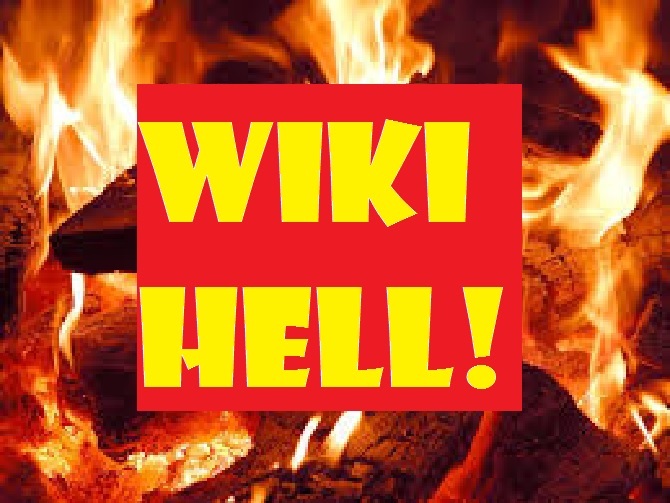 “My Wiki Hell”) | Robert Mitchell Jr.
Over the past couple of years I’ve managed to create a pretty extensive wiki. Last month my hosts over at Wikispaces decided they only want educational wikis. Although I think my wiki is pretty educational, what they mean by “educational” is wikis for students and teachers and stuff. Basically they told me to scram. Beat it. Get lost. So I started looking at other free hosting options. There were lots. But what I found out — to my shock, horror, disgust, and complete, unadulterated FURY — was that the format used by Wikispaces is not compatible with, and therefore cannot be imported into, any other free wiki platform on the market. Which means I have to manually copy and paste all of the pages, insert new links, etc. etc. and so forth. “You have got to be f***ing kidding me,” I said, followed by a swirling vortex of extreme swearing so severe and intense that it resulted in the formation of a wormhole. I know that I entered a wormhole because I said every curse word I know, have known, or ever will know in every possible universe. Mind-numbing crap-slog now in progress. This entry was posted in Writing and tagged wiki, wikia, wikispaces. Bookmark the permalink.